Kris will coach you to reach your goals. Whether you're a beginning or advanced player you'll gain new insights to hit the golf ball more consistently. And if you put in the practice (correct repetitions), after, you will hit the ball better and more consistently. That’s our guarantee. These couple days will give you improved understandings of golf technique and how to apply them to your game. That’s what we do! So much of the private and semi-private instruction is based on what your goals are. Most golfers want more consistency and better contact with the golf ball. How we get you there may be through low chips or hitting high pitches. I might just jump you right into hitting driver if that's what will make your day. Whatever your goals I'm confident I'll help you get over the plateau you've stuck on. For some students I may bring out the doppler radar system to work on club speed shot shaping or distance control. At the very least it's really cool getting a better understanding of how the ball reacts to club path and face direction. We'll also get into "gear effect" with the driver and fairway metals. Usually after lunch we'll putt for 15 minutes mostly to get our bodies moving again before we play. I'll also show you an easy way to read the greens with your feet instead of your eyes. Everyone will benefit from seeing the golf course from the eyes of an ex-PGA Tour player, you'll learn to stalk a shot (read the environment, listen to your body and notice how to leave yourself easier shots) and play to your strengths. So often I hear how the range game doesn't translate to playing on the golf course and that's why playing coaching is invaluable to help you get a fresh perspective on how to play. Spoiler alert, stop thinking so much! 4:00-I will leave you at this point but you may continue playing or head out across the street to wine taste at Jameson Canyon Winery. Feedback and recap of previous day’s activities. Warm-up with stretches. You'll probably be a bit tight and I'll share specific stretches to address those muscles. Believe or not at this time you’ll have a very good idea of what is creating your missed shots and have a good idea of how to make the correct adjustments…….this leads to long lasting improvement! Let’s play on the course and observe. For most of you we’ll still be in practice mode while on the course but we’ve taken a big step into performance mode and that step usually has mental complications which you’ll learn from. Kris started the Kris Moe Golf School in Sonoma, California in 1995 and has been a GOLF magazine Top 25 Golf School in America since 2008. A quick playing history- Kris Moe was a two-time All-American at San Diego State University and the 1983 California Amateur Champion before qualifying and playing on the PGA Tour in 1986. And then a year on European PGA Tour in 1989. All told, Kris played professional golf in over thirty countries with his most memorable finish being 25th at the 1985 British Open at Royal St. George's where he played the third round with Nick Faldo. He is a PGA member, loves science (physics, neuro-science and the latest about golf), a certified TPI (Titleist Performance Institute) instructor and uses doppler radar. He has also played in 6 major championships (two British Opens, two US Amateurs and two British Amateurs). When are the golf schools? You can pick the days of the week if you are your own group (private, semi-private or small group) otherwise I try to offer them every Friday and Saturday. Unless you're booking your own private or semi-private class there are usually some upcoming classes you can join as a solo golfer. 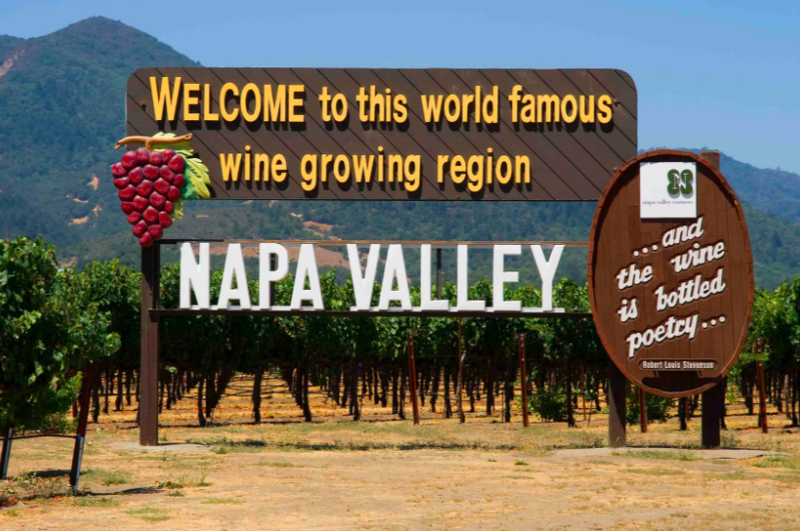 The city of Napa is a great place to stay and we recommend contacting the Napa Visitor's Bureau where they offer a concierge like service to help you find lodging that meets your wishes. Thanks for sending us a message. We'll get back to you right away.